LinkedIn is 277% better for lead generation than other social networks. Wow! If your marketing runs on lead generation, you've got to be using LinkedIn to its fullest potential. Learn from experts at LinkedIn and HubSpot about LinkedIn Marketing best practices. View our 3-part webinar series to learn how you can leverage LinkedIn to attract new leads for your business. Access all three on-demand webinars simply by filling out the form to the right. Scott is the head of Online Marketing at LinkedIn. His responsibilities include evangelizing LinkedIn products, such as Company Pages and LinkedIn Ads, in order to help professionals achieve incredible business results. 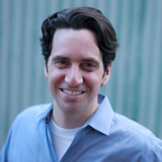 Mike is the CMO at HubSpot and joined the company in early 2007 as the company's fifth employee. 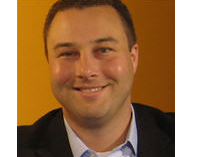 He heads HubSpot's lead generation and branding strategy through inbound marketing, including blogging, search engine optimization, video marketing, and social media.